A Tennessee middle schooler has put a face on bullying that is resonating far and wide. 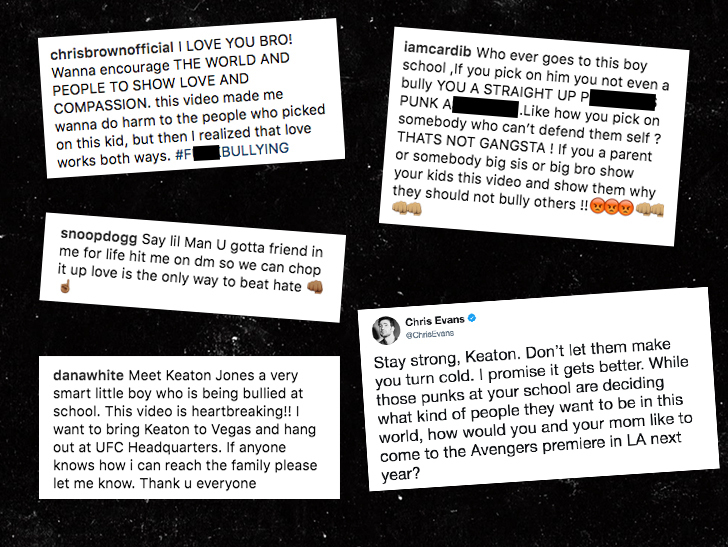 Keaton Jones sobbed as his mom shot cellphone video of the boy, who described how his classmates had abused him by, among other things, pouring milk on him. Keaton tearfully asks,"Why do you find joy in taking innocent people and finding a way to be mean to 'em? It's not okay." His mom wrote on her Facebook page, responding to the outpouring of support, "I'm humbled by the voice my boy has been given, but he's still just a little boy, and he's a little boy who desperately wants acceptance."